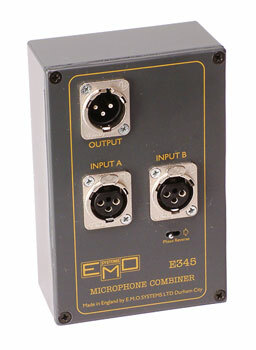 The new EMO microphone combiner is the latest addition to their range of professional quality microphone signal devices. 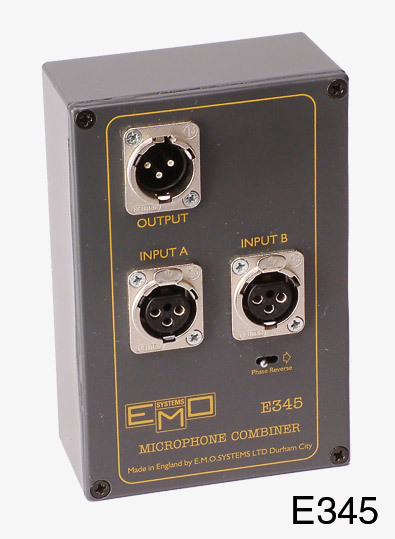 Housed in a sturdy diecast box, it provides an economical method of feeding two microphone signals to one input in applications when individual level control is not needed. The phase reverse switch on input B facilitates its use in noise cancelling applications relying on a differential signal from, for example, a PA vocal system employing two matched, closely spaced vocal mics. As standard the unit does not pass phantom power, but it can be re-wired internally to do so if required.